There is literally a plethora of activity where PUBG Mobile is concerned. In fact, there is so much activity that it’s actually difficult to keep abreast of what’s going on. The latest occurrence relates to the Timi Studio version of the game, which focuses on land, sea, and air battles, and now includes an excellent first-person-perspective mode, which is something gamers have been crying out for. It’s worth mentioning in the first instance that this particular version of PUBG Mobile is classified as the second-class citizen of the PUBG world. By that, we mean that this is the version which concentrates on land, sea, and air battles and isn’t the like-for-like cloned version which gamers all over the world are enjoying. In fact, this version doesn’t currently have a global English variant and is currently only available in Chinese app stores. However, it still has a growing and extremely healthy user base, meaning that large updates such as this version 1.0.8 update are extremely well received. One of the main improvements with this release is the fact that it offers a brand new first-person-perspective mode, which is a feature recently introduced into version 0.6.1 of the Chinese Quantum & Lightspeed Studio version. Timi Studio has also introduced new gaming modes, such as Expert Mode and new social mechanics which makes finding and interacting with friends a lot easier and a lot more mobile friendly. Enhancements have also been made to the chat interface within the game as well as the built-in matching interface. Timi Studio has also focused heavily on gameplay mechanics to make the overall experience a lot more enjoyable for gamers, which includes optimizing the experience when using 8x lens on a weapon or the trajectory vision. It’s also possible to automatically record wonderful moments and save them directly to photo albums on the device. Version 0.6.1 of the Quantum & Lightspeed Studio version of the title already has a number of these features and improvements, but you would expect that as that is the version which ultimately is available globally. However, for those that prefer having their battles on land, sea, and air, it’s great to see that a lot of focus is being lavished on making this version as good as it can be. 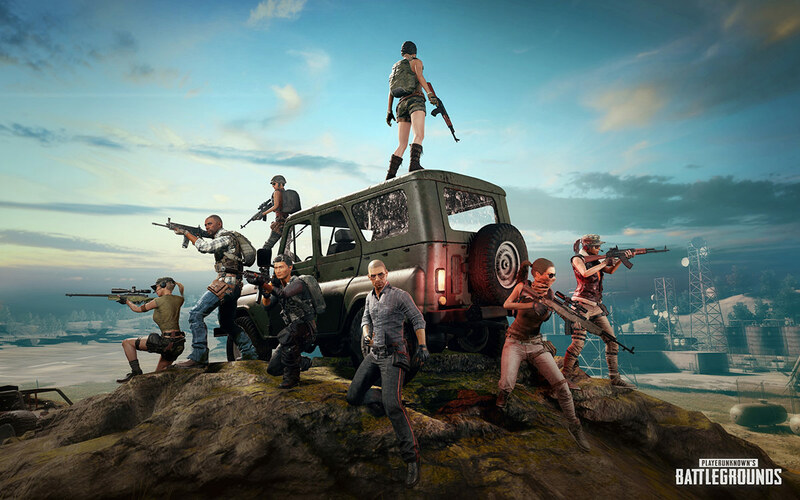 You can download this version of PUBG Mobile from Chinese App Store and Google Play Store.